I am re-posting this because we have 5o mile per hour winds and the temp is feeling below 0 and I look out my window and my neighbor was in PJ pants a t shirt and a towel over his shoulders......shoveling 2 feet of snow???? 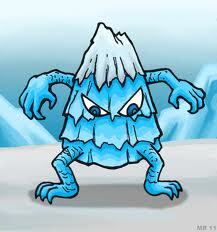 Dang it is freak'n cold out were I am...I am talking below 0!! On that note ... is is good to know how to deal with frostbite. 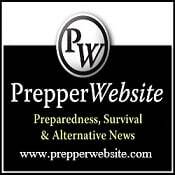 I can here some of you saying it never gets that cold were I am at.... we are preppers and remember you never know were you may end up in times of crisis. It is good practice to have some knowledge of it. Frostbite is when the skin cells become damaged. Sometimes it can be restored sometimes not. It can take only minutes to get frostbite!! Minutes! When the temp goes below 20 degrees and you have a good wind blowing you need to make sure your feet, toes ears and hands a covered properly! These are the parts of the body that many forget about and end up getting in trouble with. We all remember the scene in Mr Deeds....well that is what frostbite looks like! Warning signs: If you start to feel number or even the area starts to feel hard and frozen. You may even have a white or grayish color (see pic above) then you need to get warm NOW! Check every half hour or so for signs of frost bite!! It can sneek up on you! Light, loose, layered clothing provides both ventilation and insulation. Top your outfit with a water-repellent fabric. Remember water repellent not water proof...because water proof can make you sweat and that sweat in you clothing is not a good thing!! Mittens are warmer than gloves, and two pair of socks (wool over lightweight cotton) will help keep your feet warm. If you get wet, get inside and remove the wet clothing as quickly as possible. OMG you have frostbite now what??? Get to a warm room as soon as possible and call for help if you can. Drink teas and chick or beef broth. Take off any wet or restrictive clothing. remove all your jewelry, helps with get the circulation going again. Rest the effected areas, do not walk on frostbitten feet, and elevate them slightly. Warm the area by immersing it in warm (NOT HOT) water 30 to 45 minutes, or until it feels warm and sensation returns. 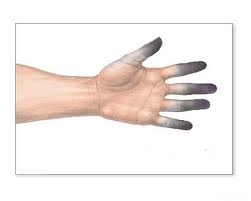 During warming, you may feel severe pain and the injured area may swell and change color. Leave blisters intact, and cover them with a sterile or clean cloth until you are seen by a physician. do not do anything that will further injure the frostbitten tissue. No Alcohol- that is a myth it DOES NOT HELP IT MAKE IT WORSE! no rubbing the area with your hands, with snow, or with anything else. do not start to warm the affected area if there is any chance that it will be exposed to the cold again. NO! dry heat, such as from a heating pad, sunlamp, fire, or radiator, to try to warm the area. Because the skin is numb and will not feel the heat, it can easily be burned. A few herbal remedies to help treat it. -Aloe is an antiseptic, antibacterial, anti inflammatory and has been known to have reqenerative properties. Just apply to the area and cover with sterile cloth. - Massage the affected area with camphor oil if the frostbite is not severe. - Cucumber help restore the skin blend and spread the pulp as you would a cream. - Apply a cold mashed onion poultice. -Horsetail can help rebuilding skin tissues because of its silica content. Silicic acids form collogen. - Cayenne pepper pour a cup of boiling water onto a half to one teaspoon of cayenne and infuse for 10 minutes. A tablespoon of this infusion should be mixed with hot water and taken when needed to improve circulation. - Hot and Cold Compresses: Alternate between a hot compress (as hot as you can stand it) and ice cold compress to treat frostbitten skin. Apply a hot compress for three minutes followed by a cold compress for 30 seconds. Repeat three times each – ending with the cold compress. -After the initial treatment of frostbite, bathe affected body parts in warm water to increase circulation and aid the healing process. I am so feeling this song right now!!! City Squirrels the meat you can eat.